Slip a little something adorable surprise into your child’s pencil bag this September with these cuter than cute whimsical rulers. Useful and sutainable, each Night Owl Paper Goods ruler is made with sustainably-harvested, yellow birch wood, is 100% biodegradable and recyclable with paper goods. Plus this little ruler doubles as a bookmark. 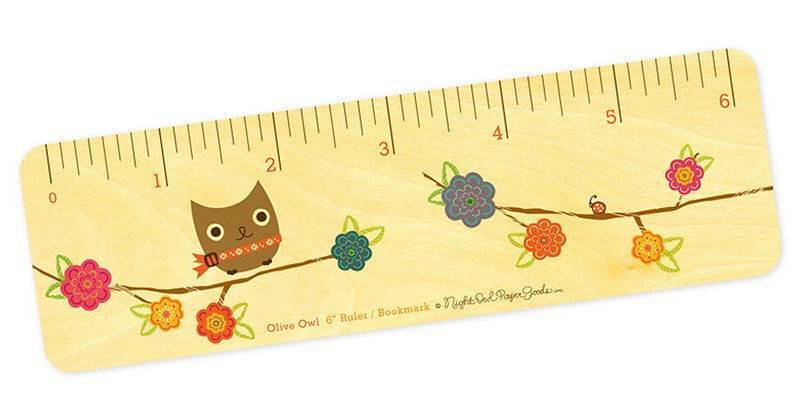 We’re partial to the sweet owl ruler, but you can also choose the equally cute hedgehog ruler or floral ruler as well.